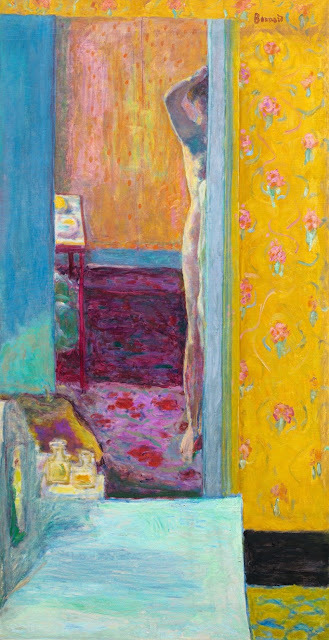 I’ve always admired and loved the color experimentation and singular focus and dedication of Pierre Bonnard. 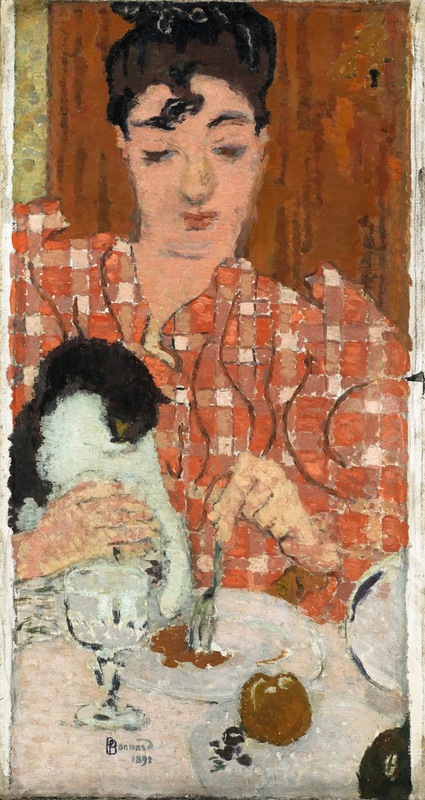 His saffron-hued and fuzzily intimate interior scenes invite us into his world, to dine, to linger in soft focus, to dream in eternal sunshine, to chat, to meet the family and their sleeping cat, and to chat with his somnolent his models. 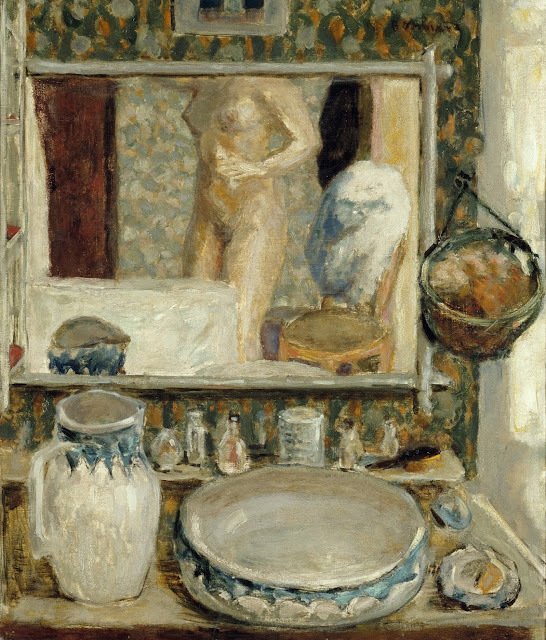 Pierre Bonnard was a contemporary of Cezanne and Picasso and Matisse, but his singular devotion to depicting and honoring domestic life left art critics cool and dismissive. 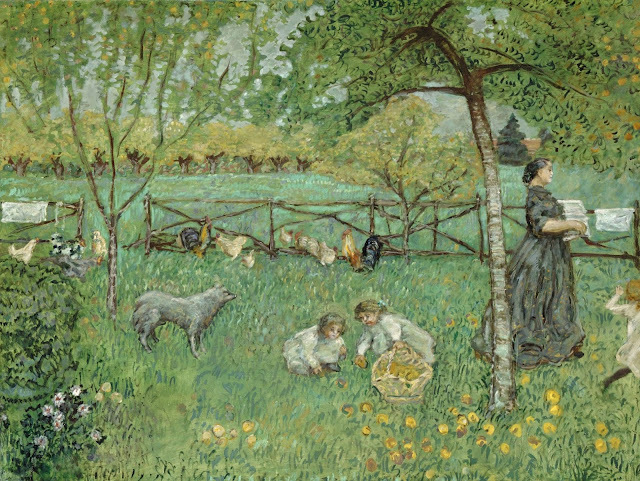 After his early career as a rather provocative figure, he settled down and immersed himself in his gardens, his landscapes, and his compliant and happy accomplices, his family. 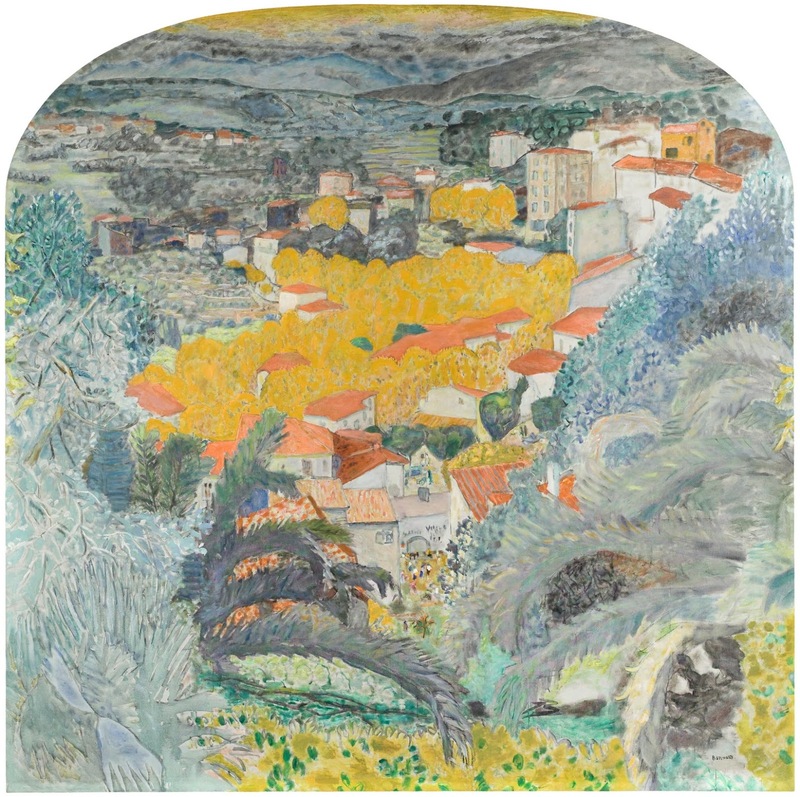 He painted his wife for fifty years, and perfected his craft in his rustic retreats near Paris, and later in the white-hot light and luscious intensity of the South of France. 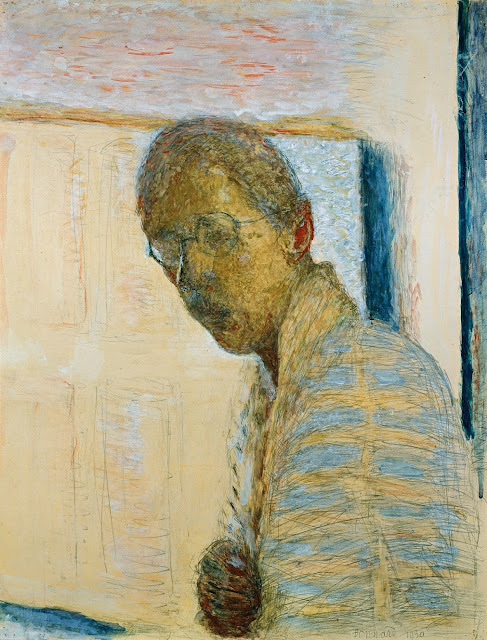 Bonnard now gets his recognition with a delightful new exhibition that recently opened at the Legion of Honor museum in San Francisco. 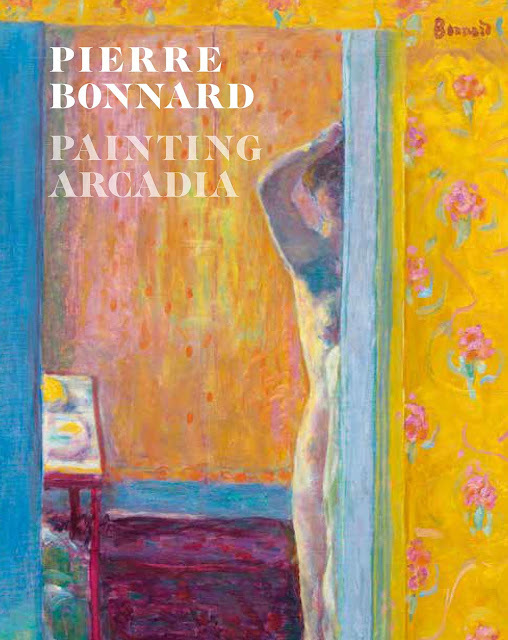 Come with me to view my edit of some of the paintings—and then dash over to the glorious Legion galleries to immerse in the glory of Bonnard’s vivid and painterly private universe. 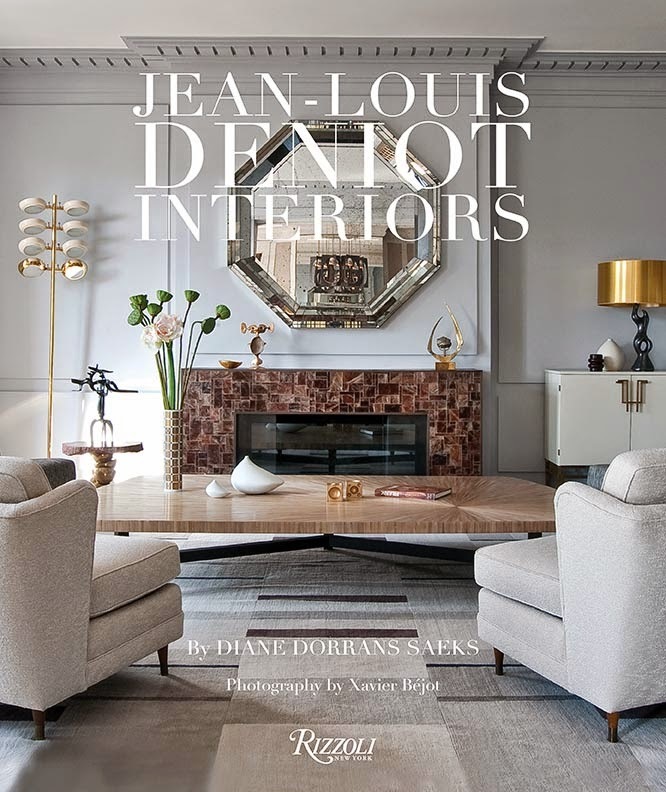 I hope you’ll be inspired to visit the wondrous Legion of Honor museum, to feast on the Bonnards, and perhaps afterwards to venture along the adjacent walking trail high above the bay. Now that’s a well-spent afternoon. 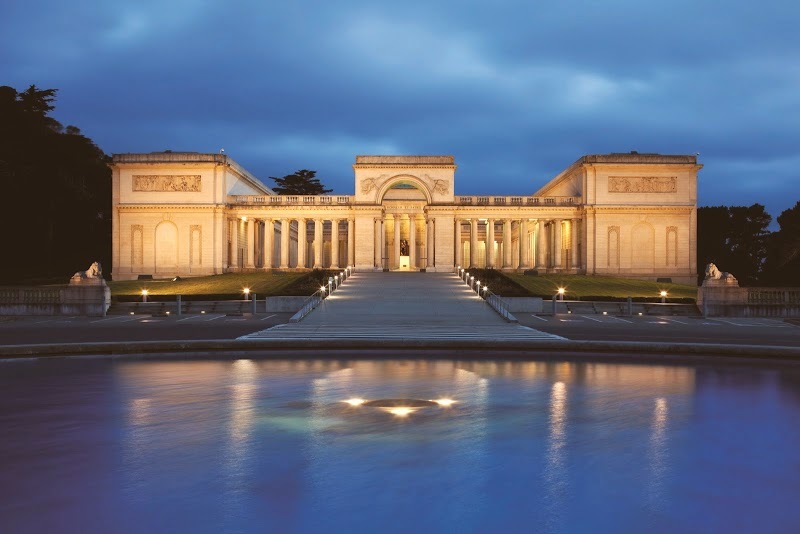 The California Palace of the Legion of Honor is the exclusive US venue and the exhibit comes to San Francisco after being on view in both Paris and Madrid. The Legion exhibit debuted at the Musée d’Orsay where many of these paintings are on permanent show. This is the first major international presentation of Bonnard’s work to be mounted on the West Coast in half a century. 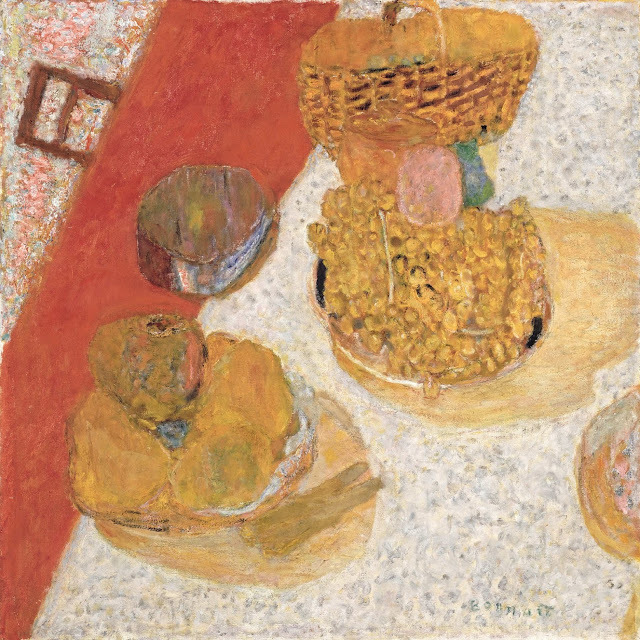 The intimate exhibition celebrates Pierre Bonnard as one of the defining figures of modernism in the transitional period between Impressionism and abstraction. 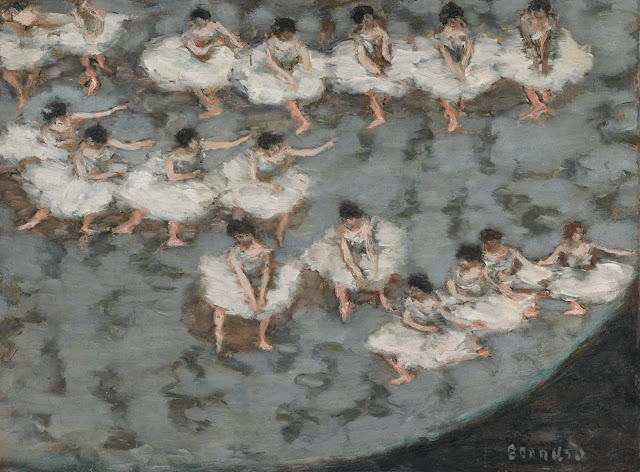 It also shows that, like Monet and Manet and Picasso and many other French painters of the period, he was fascinated and influenced by Japanese woodcuts, and traditional Japanese imagery, composition, and lyricism. But for Bonnard, immersing himself and constantly painting interiors in ‘contrejour’…into or against the light…that was his obsession. Canvas after canvas features a model or a table set with lunch and large open windows casting sun and light and contrast into the room. Shadows fall on white tablecloths. All is backlit. He also loved to distort for effect and was particularly fascinated with tricks of perspective. In The Dining Room (1913), for example, he employed different levels of perspective and varied the transitions of tone, from warm to cool. Gardens in spring have the same magical feeling of life, the universe and spheres and sun spinning. It’s a dream—and Bonnard’s very compelling and celebratory one. 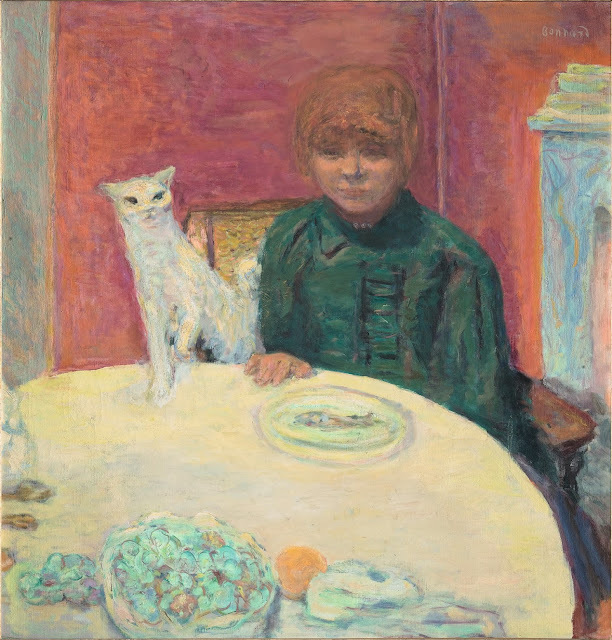 Born in the countryside near Paris in 1867, Pierre Bonnard (1867–1947) was the son of a high-ranking bureaucrat in the French War Ministry. In 1887 he enrolled in classes at the Académie Julian in Paris, where he became a student and a follower of Paul Gauguin. 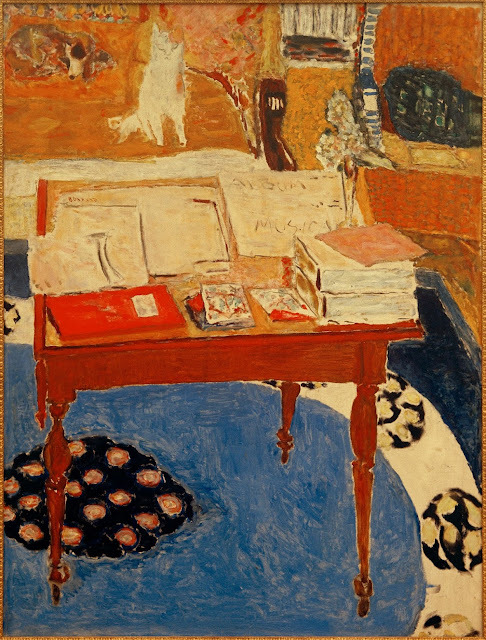 Gauguin’s teaching inspired a group of young painters known as Les Nabis and the young Bonnard joined. 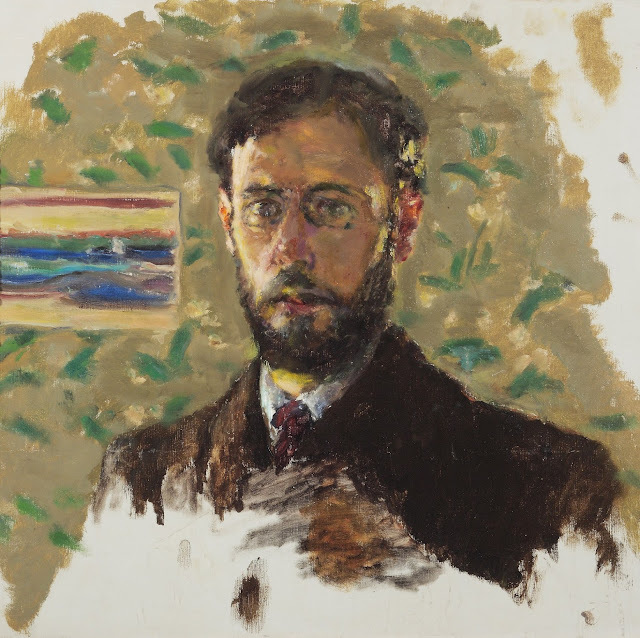 By the early years of the twentieth century, the Nabis had disbanded, and for the remainder of his career, Bonnard resisted affiliation with any particular school or movement. 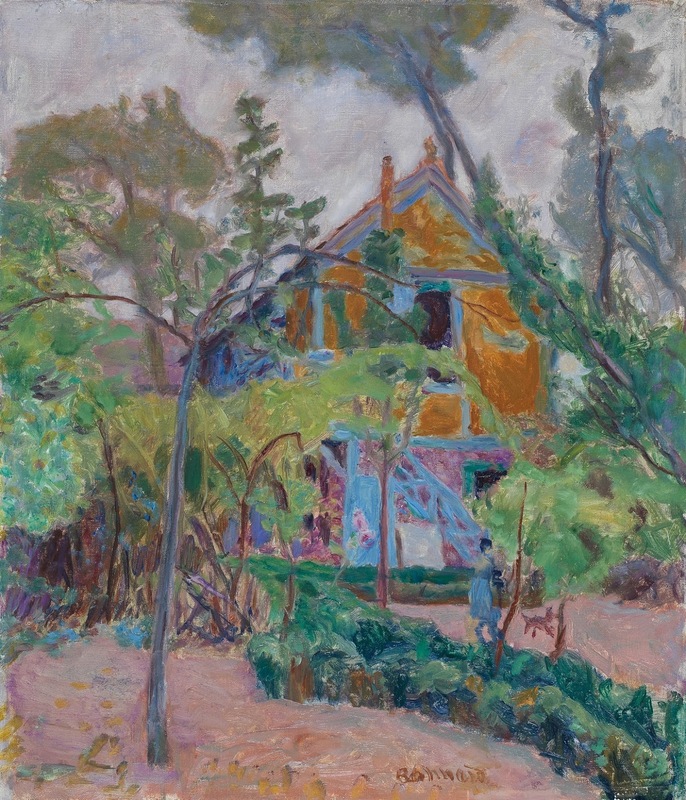 Instead, he alternated between the themes and techniques of the Impressionists and the abstract visual modes of modernism. 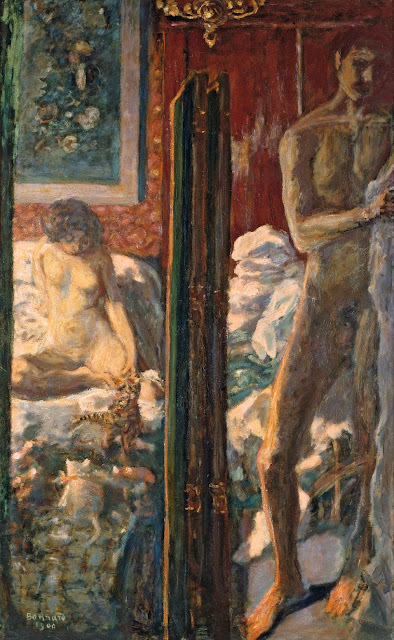 Bonnard worked in many genres and techniques, including painting, drawing and photography. 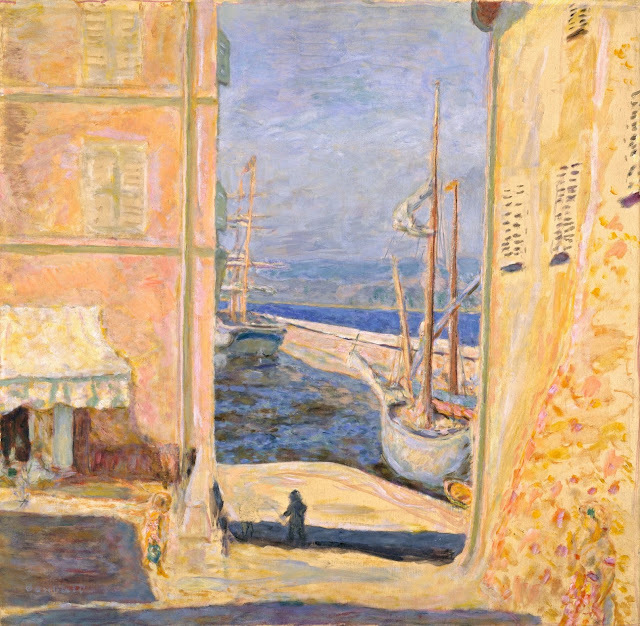 From the domestic and urban scenes of his early Nabi period to the great elegies of the twentieth century, Bonnard’s output is grounded in a modernity transformed by his exploration of other cultures, including Japanese woodblock prints and Mediterranean mosaics. 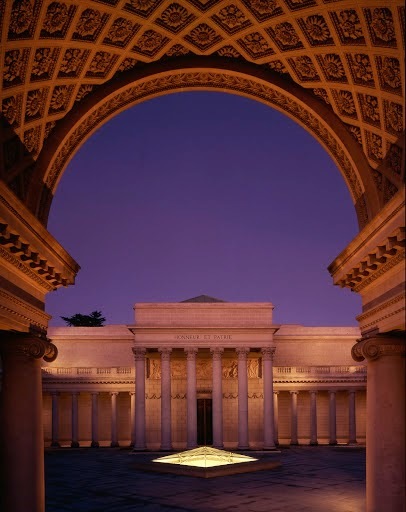 The Legion of Honor was inspired a replica of the Palais de la Légion d’Honneur in Paris, at San Francisco’s Panama-Pacific International Exposition of 1915. The museum opened in 1924 in the Beaux Arts–style building designed by George Applegarth on a bluff overlooking the Golden Gate. Its holdings span 4,000 years and include European painting, sculpture and decorative arts; ancient art from the Mediterranean basin; and the largest collection of works on paper in the American West. The museum is superbly sited with views of the bay, the Golden Gate Bridge, and the Pacific Ocean. Images of the Bonnard paintings are used here with permission from SFAS. A Note: More Peru posts, including Machu Picchu, coming soon. 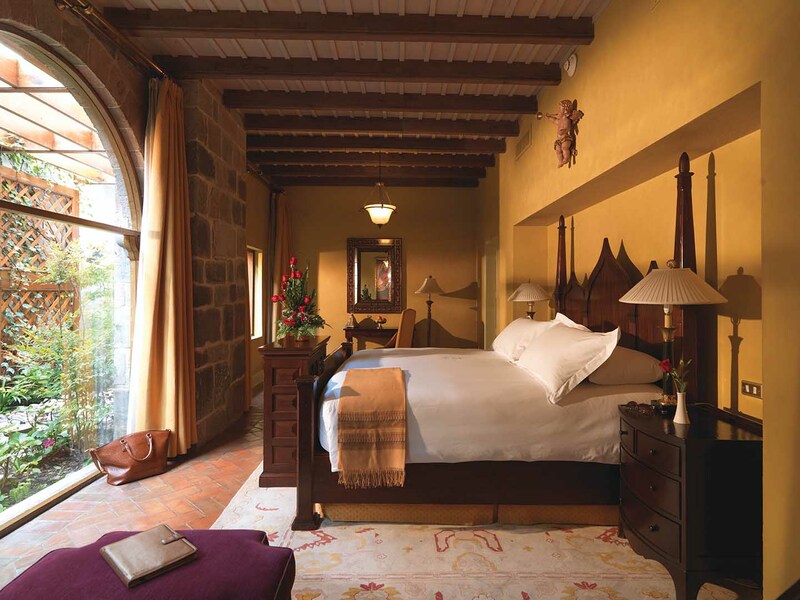 High in the Peruvian Andes: In Cuzco, sleeping with history at Belmond Hotel Monasterio. 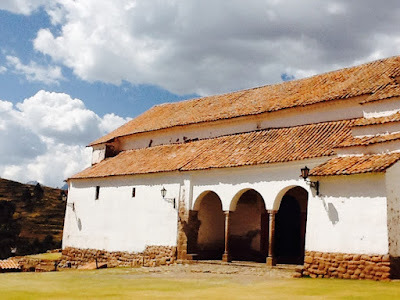 And in search of Andean Baroque architecture in and near Cuzco. A new view of Peru. 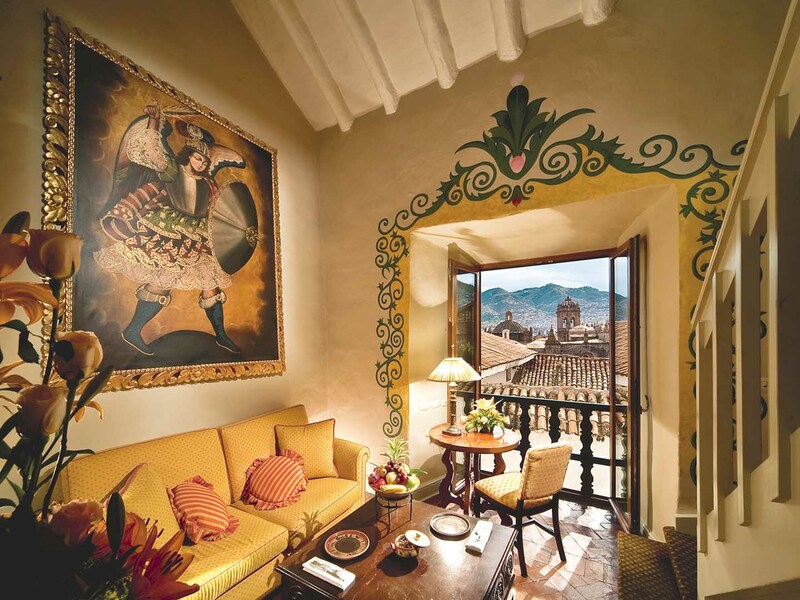 Peruvian Discovery: Come with me for a private visit to the historic Belmond Hotel Monasterio, Cuzco. I was very fortunate to travel to Peru recently. 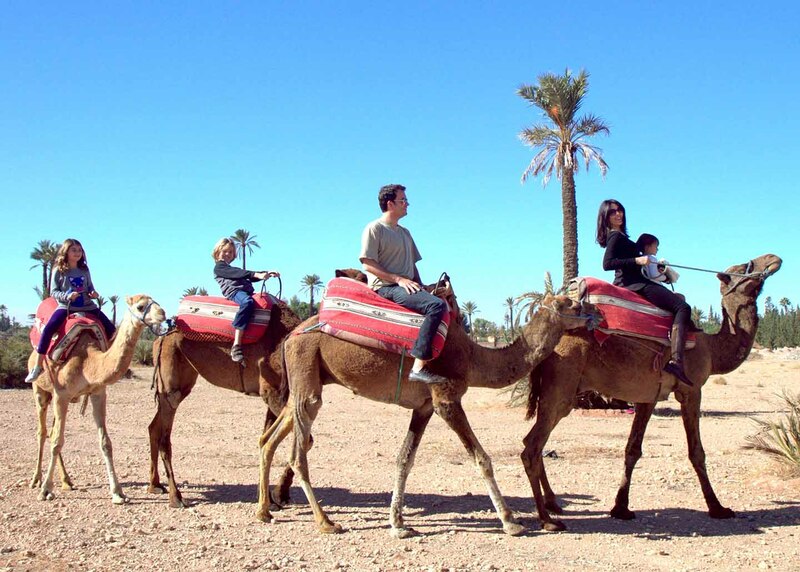 It’s a dramatic and exciting geography, and a thrilling country emerging as an essential travel destination. After visiting Lima, the capital of Peru, I flew to Cuzco, at 12,000 feet altitude the heart of historic Inca country. Cuzco immerses travelers in thousands of years of fascinating Inca and Spanish history, architecture, art, landscapes, music, and crafts. Peru was one of my most exciting trips. 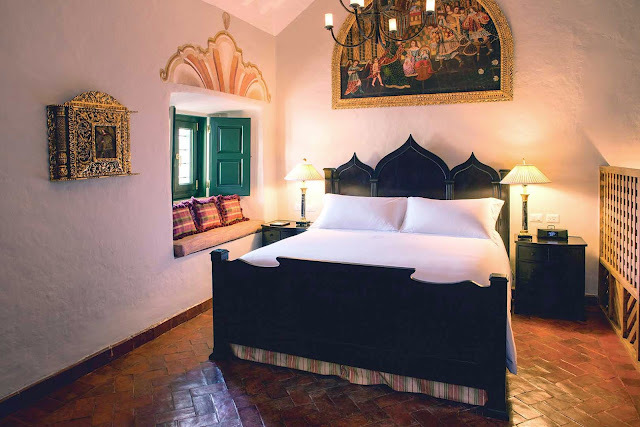 Come with me this week to discover Baroque chapels, the Belmond Hotel Monasterio in a former 16th-century monastery. And prepare to see a different Peru. Instead of lamas and costumed folkloric folk and hallucinogenic textiles, I’ll show you historic buildings, remote places, a pisco museum, and a hotel to remember. 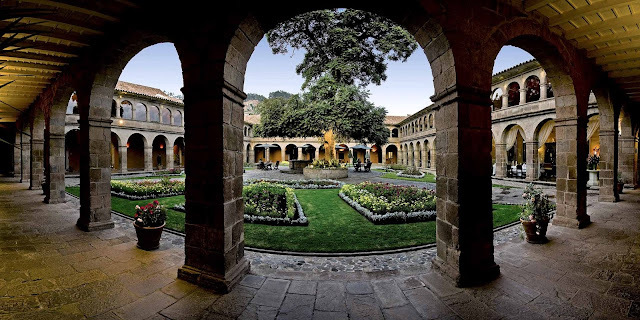 In the heart of historic Cuzco, I stayed at the Belmond Hotel Monasterio. It's steps away from the impressive Larco Museum, and moments from the Plaza de Armas, near the most dramatic 16th-century churches and historic buildings. Discreetly private, on a serene square, the luxurious Spanish colonial hotel traces the rich story of this dramatic Andean region. Peru is a country of rare discovery, once a well-kept secret for archaeologists of Inca treasures and academically minded explorers in the dramatic high Andes. Now travelers fascinated by centuries of Inca treasures and historic Spanish architecture are discovering the country’s rich patrimony. Cuzco, at 12,000 feet altitude, is the former Incan capital city in the heart of Peru. Its formal plan of grand plazas and handsome avenues are framed with superbly crafted sixteenth-century Spanish baroque churches and cathedrals embellished with gold altars and dramatic paintings. 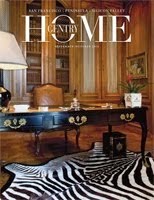 Carved marble stonework and art works are equal to those in Rome and Madrid, but created with Peruvian flair. A stay at the Belmond Hotel Monasterio, in the heart of the Cusco near historic museums, offers an opportunity to fully engage in the vivid culture of Cuzco. The newly renovated hotel, with luxurious rooms, notable antiques, and spacious courtyards, is set in a former monastery built in 1595 on the site of the Inca Amaru Qhala Palace. 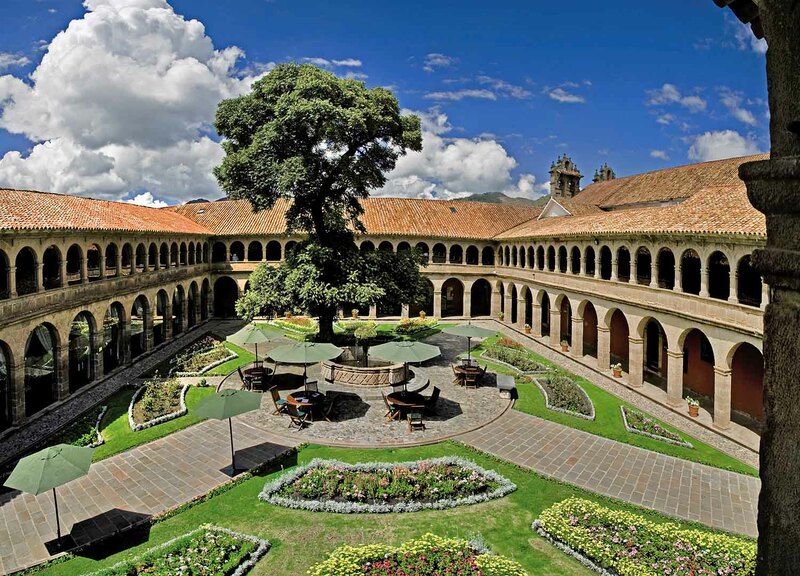 The ancient seminary is a splendid example of colonial Renaissance architecture and has been named a Peruvian national historical landmark. 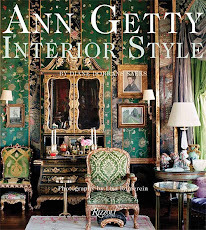 Gracious and ultra-private it houses one of the finest collections of Cuzco School paintings. 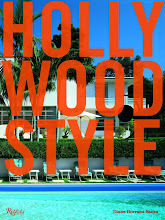 The hotel offers quiet comfort and luxury—in the essential integrity and character of the original structures. Near the entrance, a colonnaded former refectory is now a dramatic lounge and bar where guests gather at the end of the day. 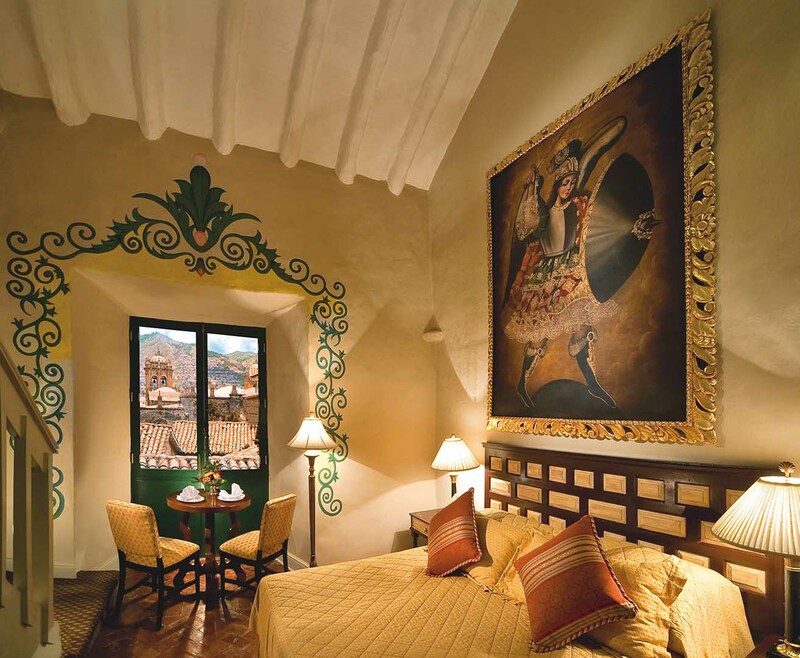 On the walls are the original hand-forged light fixtures and embellishments—along with a series of sixteenth-century Cusco school art works depicting vivid mythological figures and their lives of adventure. Perhaps the most exciting discovery for guests is an exquisite sixteenth-century chapel that is part of the monastery complex. 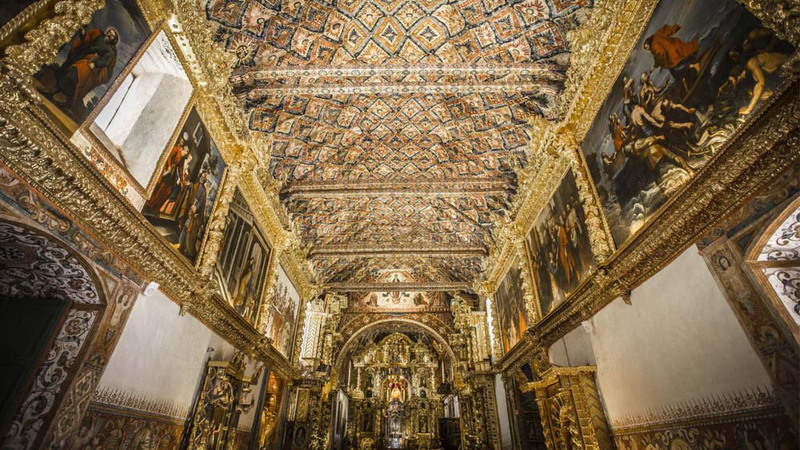 The Chapel is decorated in vibrant Baroque style and gleams with magnificent paintings with carved and gilded frames. Guests at the Monasterio may be fortunate to arrive just as a children’s choir is practicing for an upcoming wedding or religious celebration. In addition to such luxuries as locally hand-woven alpaca blankets (nights in winter may be chilly), all suites have oxygen automatically pumped in through air vents, to enrich the air and create a sense of well-being and ensure a perfect night’s rest. 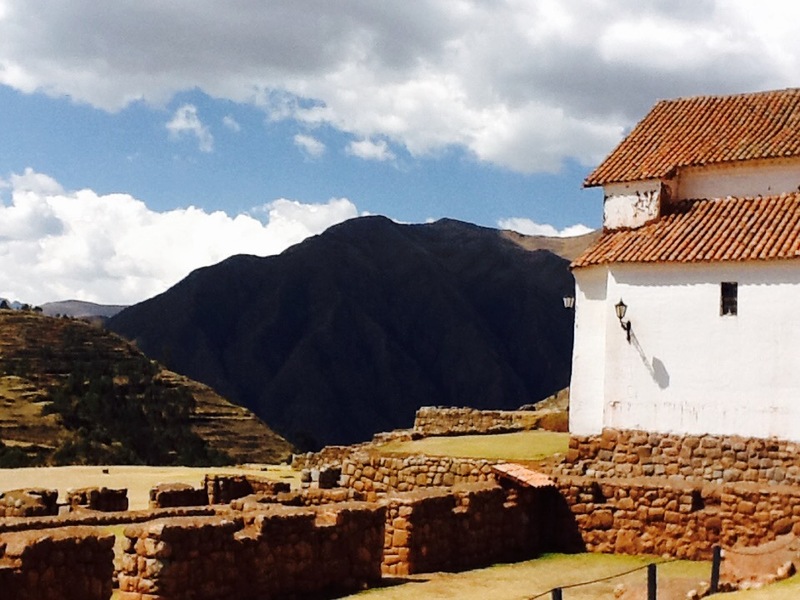 After private tours to remote towns to visit 16th-century Andean chapels, I slept soundly. 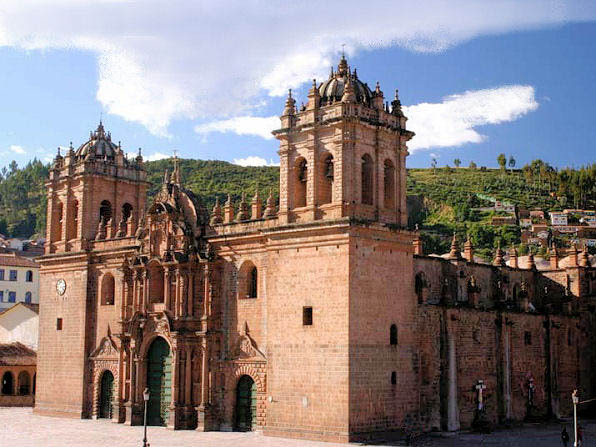 The Spanish arrived in Peru in the 16th century—and immediately built elaborate churches, cathedrals, nunneries, monasteries, chapels, I was especially interested in 16th-century religious structures. 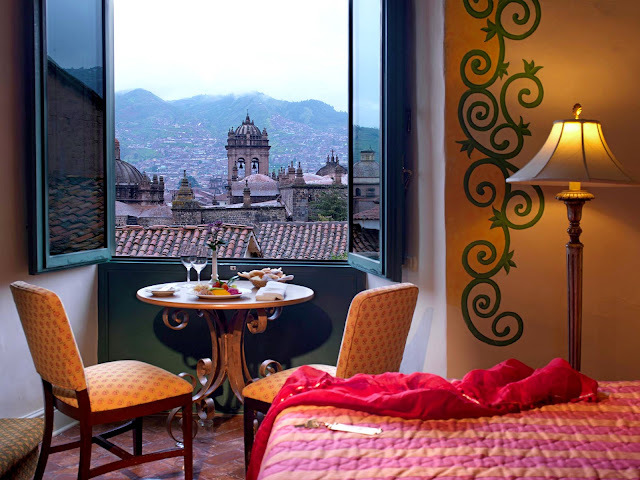 The city is also a center of traditional textiles, Cuzco School paintings, antiques, carving, gold, silver, and Andean Baroque religious architecture — one of the most exciting discoveries in Peru. 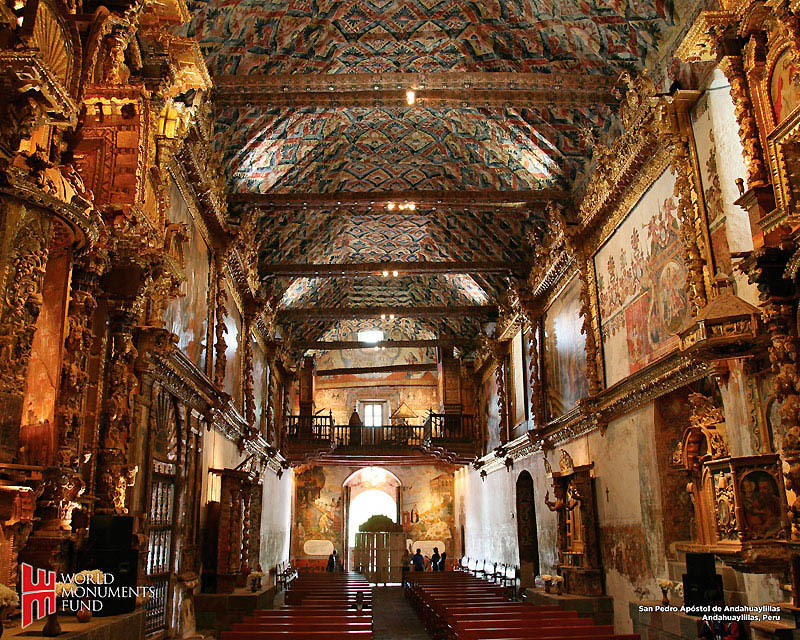 The Andean Baroque is typified by highly gilded and embellished, carved and exuberantly painted altars and interior architecture. 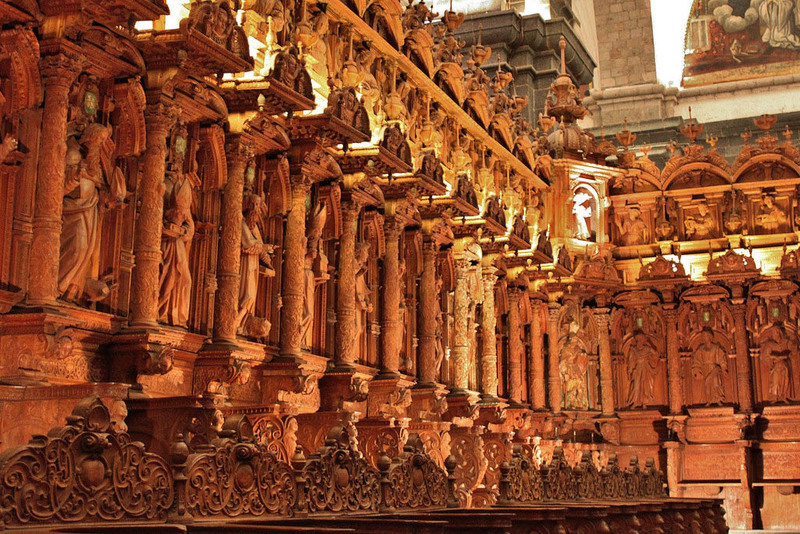 I’d enjoyed the hyper-ornamention in Quito, Ecuador, and found the Peruvian adoption of Baroque painting, carving and gilding even more dazzling. Every surface is burnished with gold (the Spanish arrived to save souls and find Incan gold)...and the effect is hallucinatory. In particular, the altars feature saint portraits and figures in niches that tower up the gilded and painted domed ceiling. 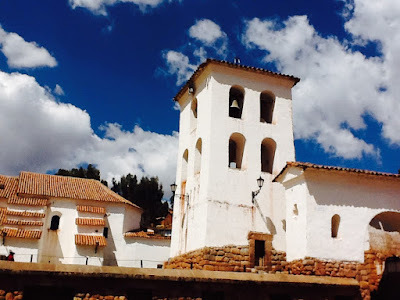 I hired a car and driver and headed 35 miles outside Cuzco to the Andahuaylillas region. Dusty towns, glorious Baroque chapels. Note: Be sure to check opening times of each chapel. The towns are remote, and in each of them a family is caretaker/ticket seller/ guard/ flashlight holder, and photography is strictly prohibited. Saint Peter the Apostle Church of Andahuaylillas, late 16th-century, has been called the Sistine Chapel of the Andes for the magnificent frescos adorning its walls. After a superb decade-long restoration by the Smithsonian and the World Monuments Fund, the interior is exceptionally dramatic and beautiful. 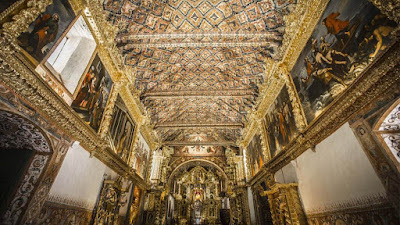 It’s blazing with gold, murals, Moorish motifs, Saracenic carving, and a wildly overscale altarpiece that is so high and dizzy with elaboration it appears to be toppling forward. This chapel is exquisite and rare. It’s beauty and craft, by local artists and Spanish inspiration, are touching and overpowering. It is worth traveling to Peru just to see it. I was the only visitor at the time I was there. I entered and stepped back…stunned and moved by the beauty. 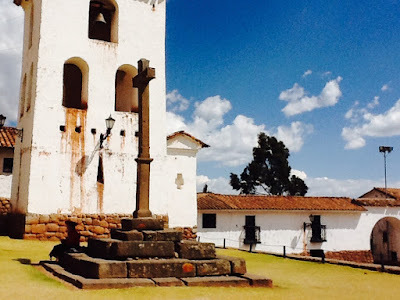 I headed onward to the small town of Huaro located 4 km south of Andahuaylillas. Its white church dedicated to John the Baptist was built at the end of the 17th century. The Renaissance altar is among the oldest of Peru. Canincunca Chapel in Urcos is more rustic. 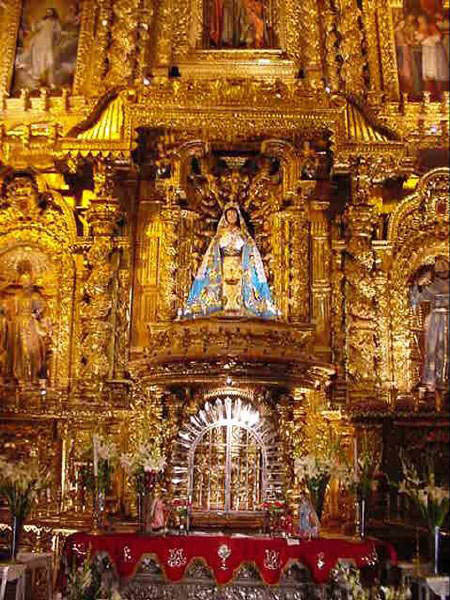 Dedicated to the Virgin of Candelaria it was built at the beginning of the 17th century to evangelize in the region. Indigenous saints and Catholic saints mingle. Fascinating. 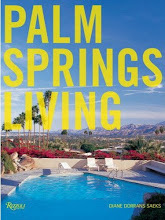 Four hundred years of historic stone cathedrals, elaborately embellished churches, and art-filled historic buildings. Of particular interest are the Basilica Cathedral, the Archiepiscopal Museum, and the San Blas church with its gilded Baroque pulpit. San Cristobal Church, one of the first built in the first years of the Conquest, has a fine view over the city. There is also Qorikancha, the Convent of Santo Domingo del Cusco, which has superbly preserved and presented Incan structures, as well as beautiful Cuzco School portraits and saint imagery. Society of Jesus Church: The construction of the church began in 1576 on the former Palace of the Inca Huayna Capac. 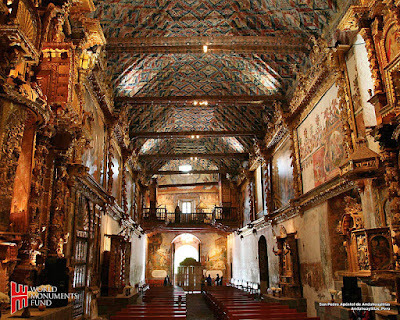 This stone church is one of the best representations of the colonial baroque art in the Americas. 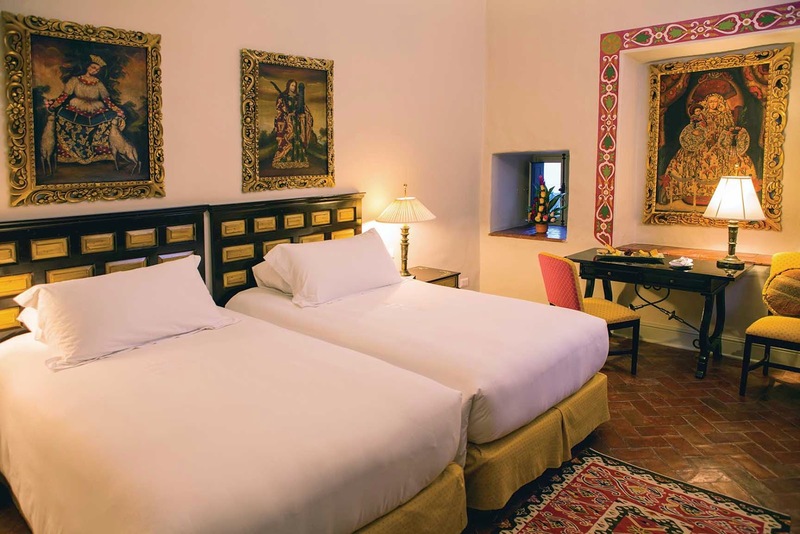 The Hotel Monasterio, peaceful and resounding with history, is an ideal beginning for a journey of discovery into the high Andes and historic towns. The hotel has a museum-worthy collection of Cuzco School paintings of saints. Guided tours are offered. 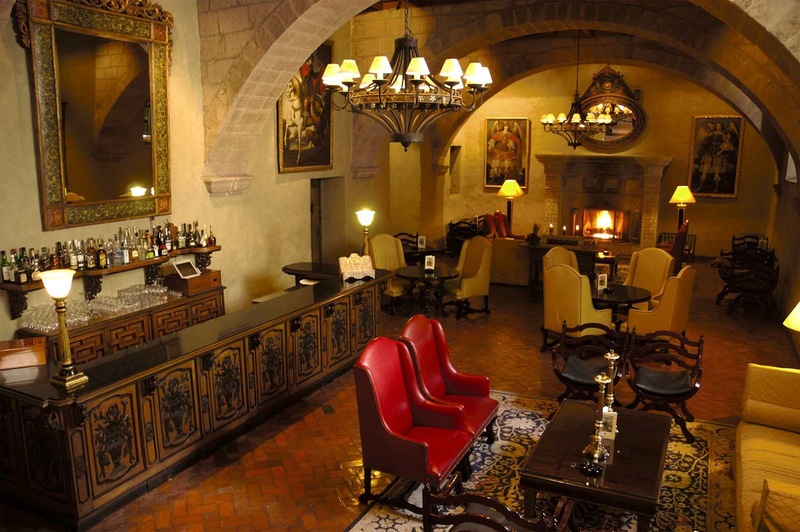 The hotel property also includes a magical 16th-century chapel, which is open to guests. The interior, with its portraits, sculptures, gilded imagery, and elaborate carving, often has a choir practicing. To visit at night, by candlelight, is a rare privilege. From Cuzco, many guests continue on to the Sacred Valley and Urubamba to visit Inca fortresses, and take the historic Hiram Bingham train to Machu Picchu. Belmond will plan and reserve all itineraries and accommodations. I’ll be writing about further travels in Peru in a future post. A friend introduced me to Museo del Pisco, a highly creative new bar/ distillery/ café started by three young Peruvian friends. 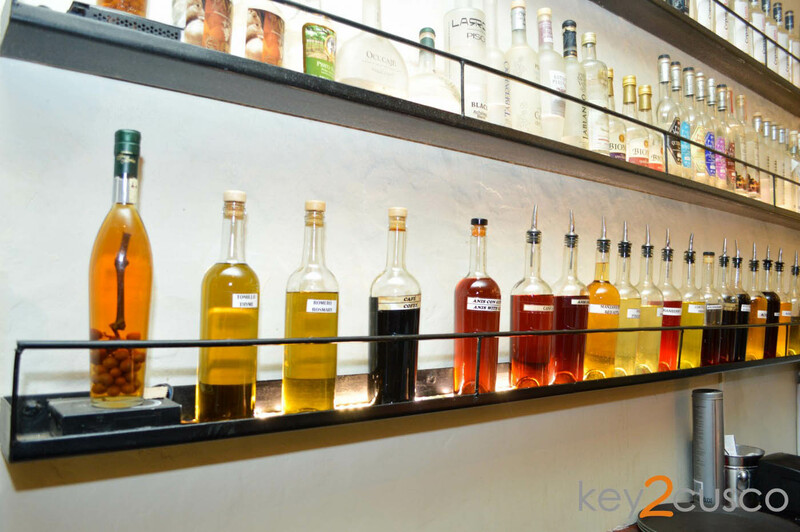 The company distills its own pisco, a high-proof spirit that tastes somewhat similar to tequila. 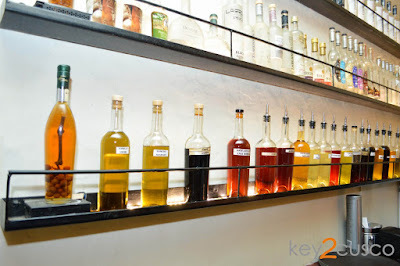 The bar serves dozens of highly creative cocktails with infusions of Andean herbs and botanicals; Colorful bottles of these flavor-enhancers are arrayed around the walls. 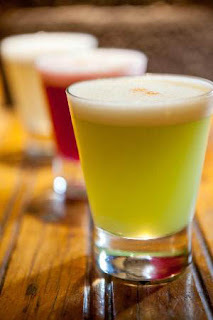 The classic Pisco Sour is an authentic taste of Peru, and it’s superbly crafted here. 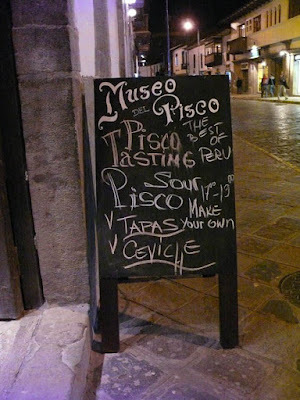 On the menu: bites and ceviche and dishes, even crisp potato fries that work well with pisco. 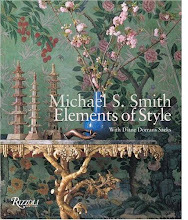 I’ve been fortunate to stay at several Belmond hotels around the world, and I’ve written about them on THE STYLE SALONISTE and in many publications. The forty-six properties are in North America, South America, Europe, Africa and Asia. 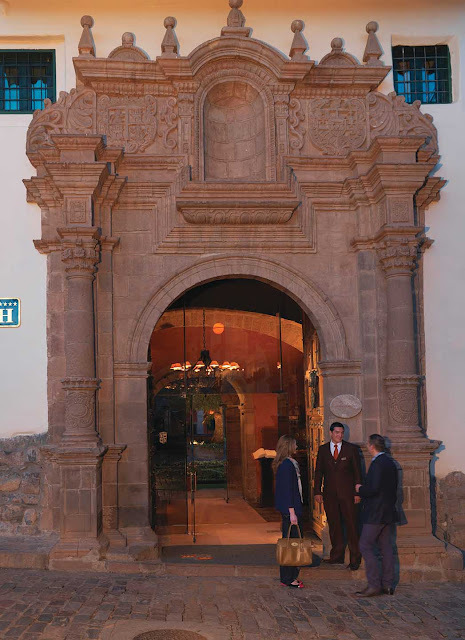 Each hotel is in a rare and beautiful location, with exceptionally a sense of history, place and culture. The luxury, architecture, provenance, and style, inherent in all of the company’s properties, are individual to each hotel. Belmont Ltd. is a hotel and leisure company that operates luxury hotels, train journeys, and river cruises around the world. In 2015 it had 35 deluxe hotels, 7 tourist trains, 3 river cruises and a restaurant in 22 countries worldwide. Belmond is based in London, UK. Included in the company’s portfolio are hotels I love including the Belmond Copacabana Palace in Rio, Belmond Hotel Cipriani in Venice (a dream), and Belmond Palacio Nazarenas in Cuzco. 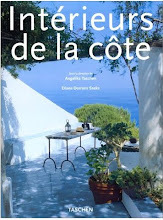 I’ve also written previously about the Belmond La Residence d’Angkor in Siem Reap, Cambodia, when I visited Angkor Wat. The hotel and the post on Cambodian temples was one of my readers’ favorites. Perhaps my post most popular in six years was my post, three years ago, on my visit to Burma. I started that journey with a dramatic stay at the Belmond Governor’s Residence in the midst of gilded temples. Readers may find these earlier posts by searching on Google: THE STYLE SALONISTE Burma Governor’s Residence, for example. All of these posts are in my blog archive…easily findable via Google. You will love to read these again, I am certain. From Cuzco I journeyed on to the Sacred Valley including Urubamba and Ollantaytambo. I took the Hiram Bingham historic train to Aguas Calientes and the Hotel Sanctuario, and Machu Picchu. I will be writing about these journeys in upcoming blog posts. I have exclusive images. I was fortunate that the weather was clear and sunny and Machu Picchu and my images are vivid. See you soon with more on Peru. Belmond Hotel Monsasterio Images courtesy Belmond. 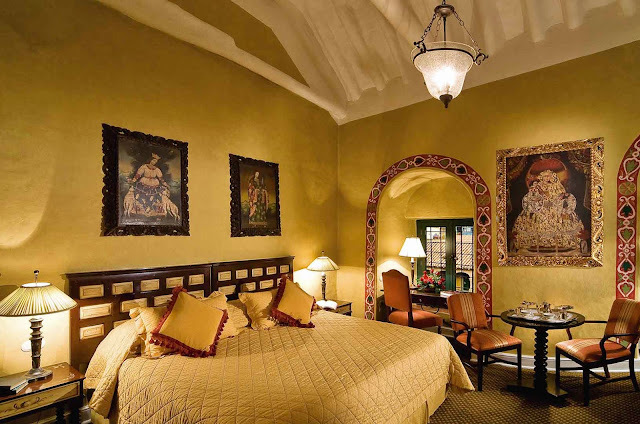 The Monasterio includes 120 rooms and suites, three presidential suites, and two royal suites, all with butler service. Wifi is complimentary. Cuzco has a lively culinary scene. The Monasterio, El Tupay restaurant serves classic international cuisine. Charming folkloric opera performances by noted local talents are offered evenings in a theatrical candlelit atmosphere. 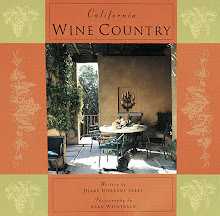 The cuisine, highlighting local flavors, is excellent. 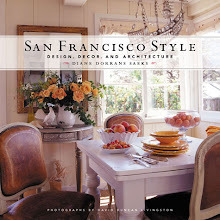 Chapel exteriors and portrait exclusively by Diane Dorrans Saeks, THE STYLE SALONISTE. Labels: High in the Peruvian Andes: In Cuzco, sleeping with history at Belmond Hotel Monasterio. 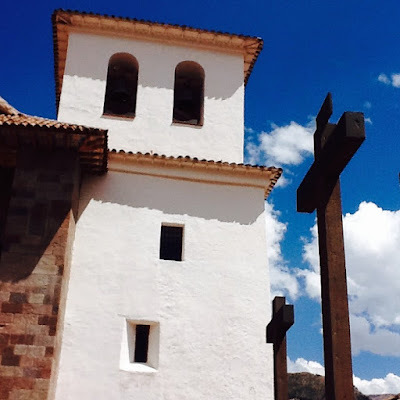 And in search of Andean Baroque architecture in and near Cuzco. A new view of Peru. I met Alina and her Italian husband Bernardo last year—and fell in love with her jewels, especially the casual/chic pink opal necklaces, her shimmering pale grey Tahitian pearl necklaces, her oxidized silver pavé clasps, and the discreet and versatile pearl drop pendants. Come with me this week to meet the delightful Alina and her family and to discover her stunning new jewels for Designs by Alina. 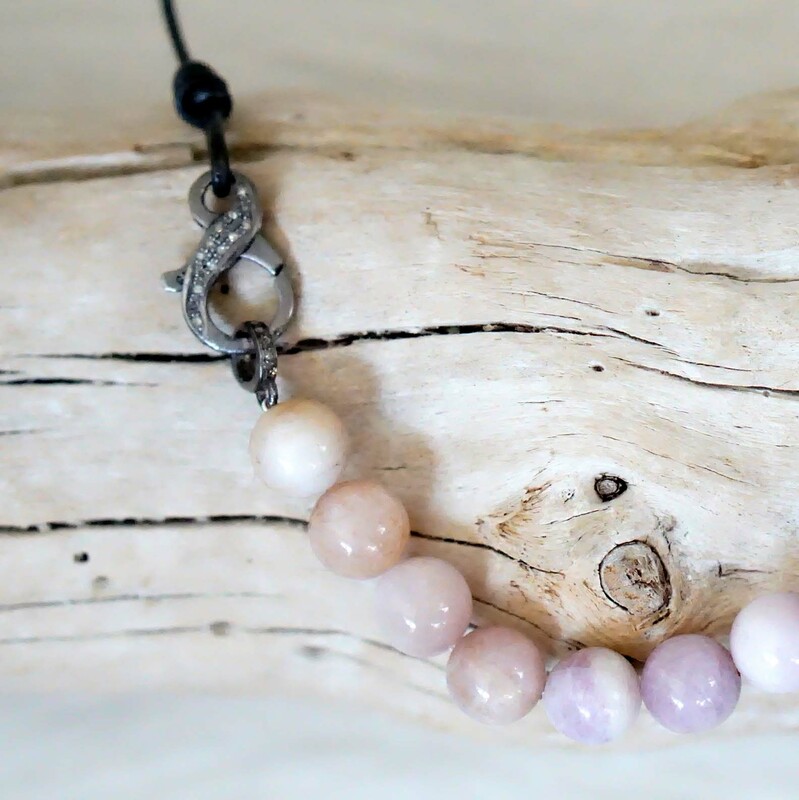 Alina’s collection includes earrings, pendants, bracelets and Tahitian pearl necklaces. They’re modern and classic—and look beautiful with a white t-shirt or a pretty sundress, or beachwear, and a dinner-date black dress. I can reveal exclusively: coming this spring are Designs by Alina sleek rings inspired by her travels in Greece and Portugal. Alina's cosmopolitan approach is not surprising. She was raised in Los Angeles, Venezuela and England. 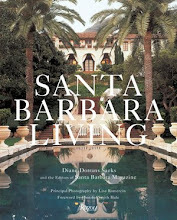 Following a successful career in Hollywood behind and in front of the camera, she moved to Santa Barbara where she married her husband, Bernardo, who was born in Rome (also grew up in Italy and Portugal). She studied figure drawing, jewelry making and painting, always returning to the art of jewelry design, and was drawn to the allure of working in gold, silver, pearls, and gemstones. 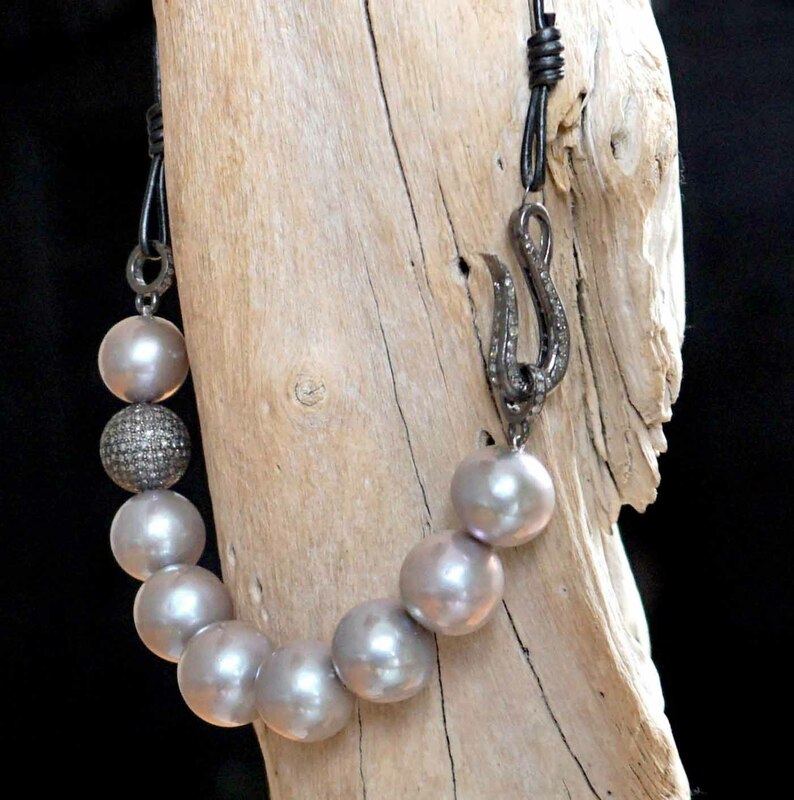 Now her exclusive designs feature grey, white and lavender Tahitian pearls, 14K or 18K gold, pavé diamonds, natural leather, and oxidized silver. The designs are hand forged and/or assembled by Alina in San Francisco. 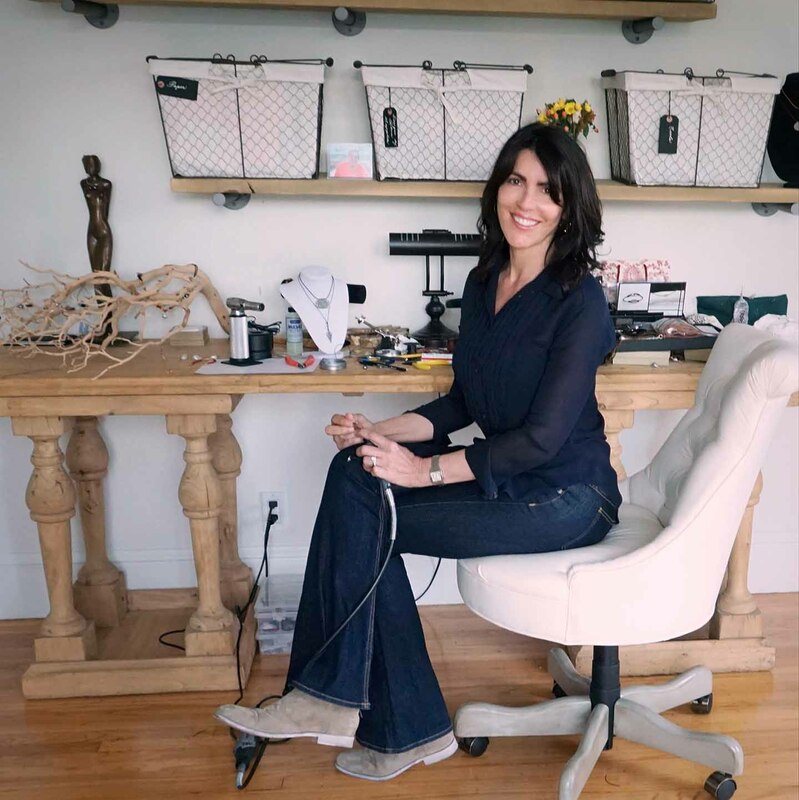 Her designs are inspired by travel. 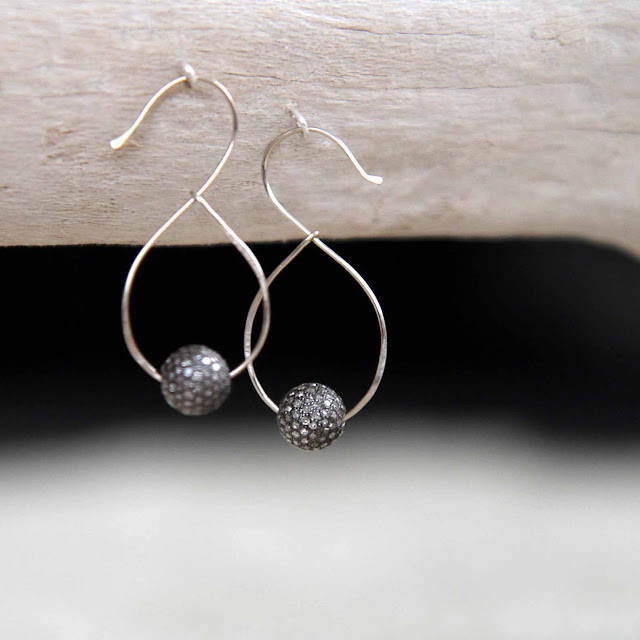 The angular earrings were inspired by a recent trip to Greece and are hand forged by Alina. Designs by Alina introduced pavé diamonds because she loves the juxtaposition of hand-chosen baroque pearls with the sparkle of precious gems. Components are fabricated exclusively for the line. 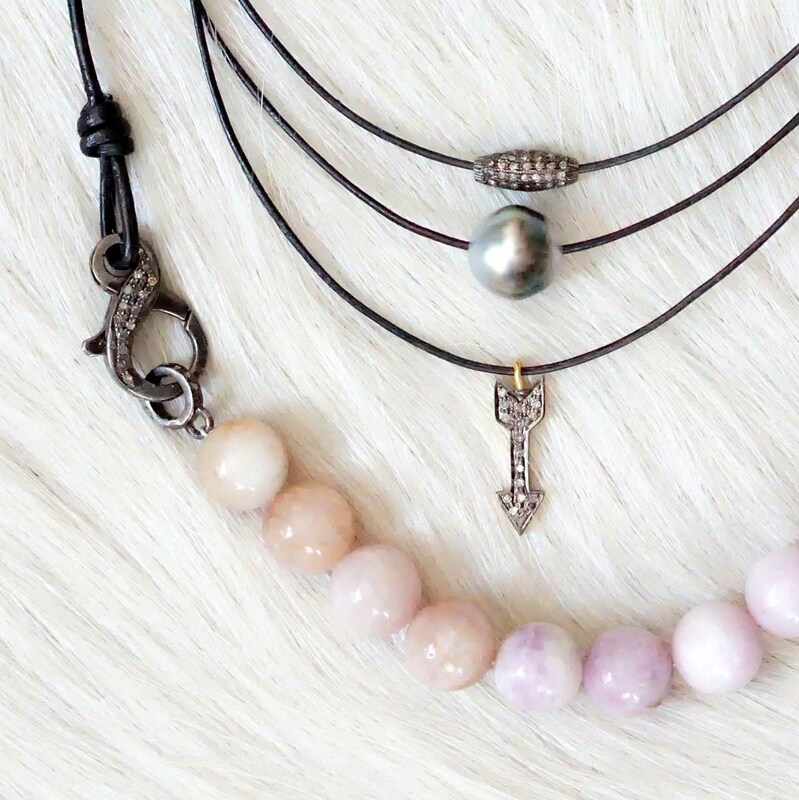 Pearl Collection: And Diamond Makes Nine, And Diamond Makes Eight. 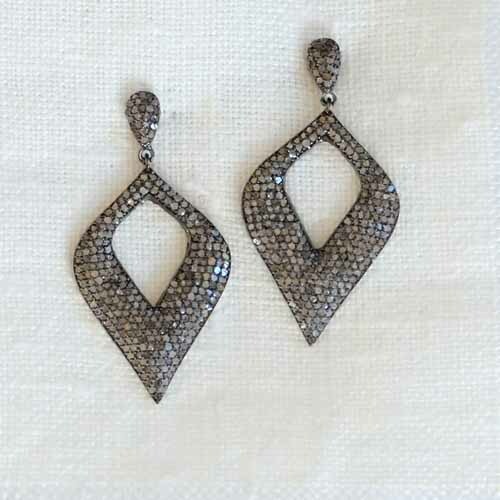 Tahitian: Diamond Flame" mixes diamonds and pearls. Diamond collection: Newlyweds (earrings) and My Diamond Trio (bracelet) are diamond pieces from the latest collection, Winter 2015. Designs by Alina launched. 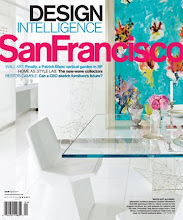 The de Albergaria family moves to San Francisco. On arrival Alina serendipitously shops at Elizabeth Charles fashion boutique on Fillmore Street in San Francisco. Elizabeth, the boutique owner (originally from Melbourne) purchased a pearl necklace literally off Alina's neck and began to carry the line. 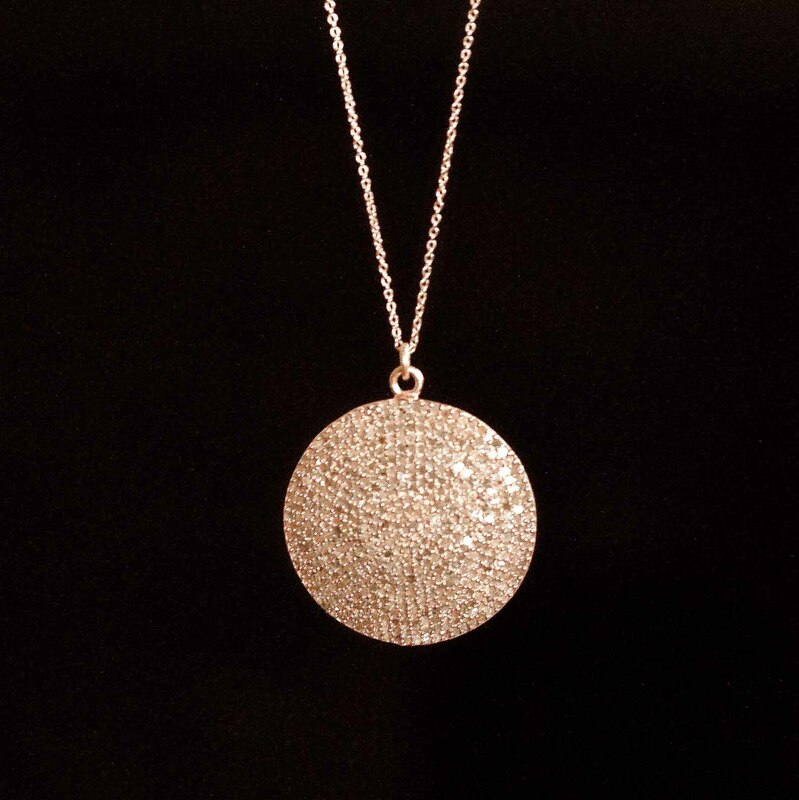 Designs by Alina unveiled The Diamond Collection. Becomes the first company to collaborate with online retailer Road Twenty-Two. 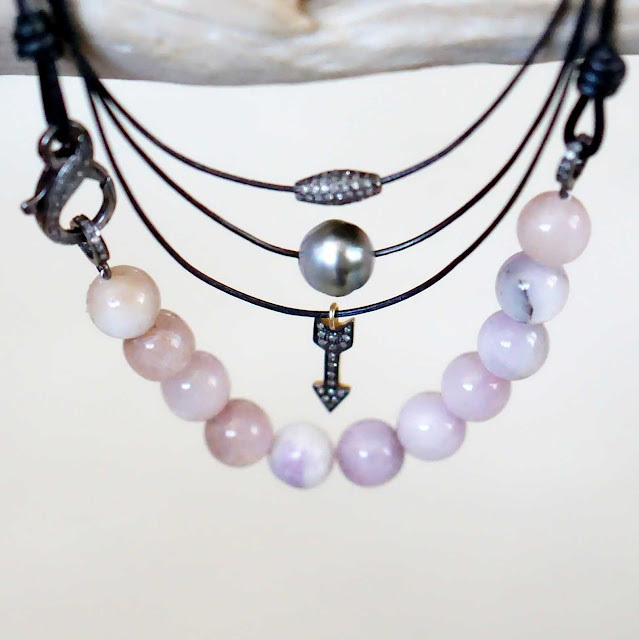 Alina’s jewels are carried at Whistle Club Boutique,1235 Coast Village Road Montecito, and Satine boutique on Abbot Kinney Blvd. in Venice. Designs by Alina teamed up with Children of Shelters at Elizabeth Charles to formally introduce the collection. Alina is meticulous about all aspects of design, including her packaging. 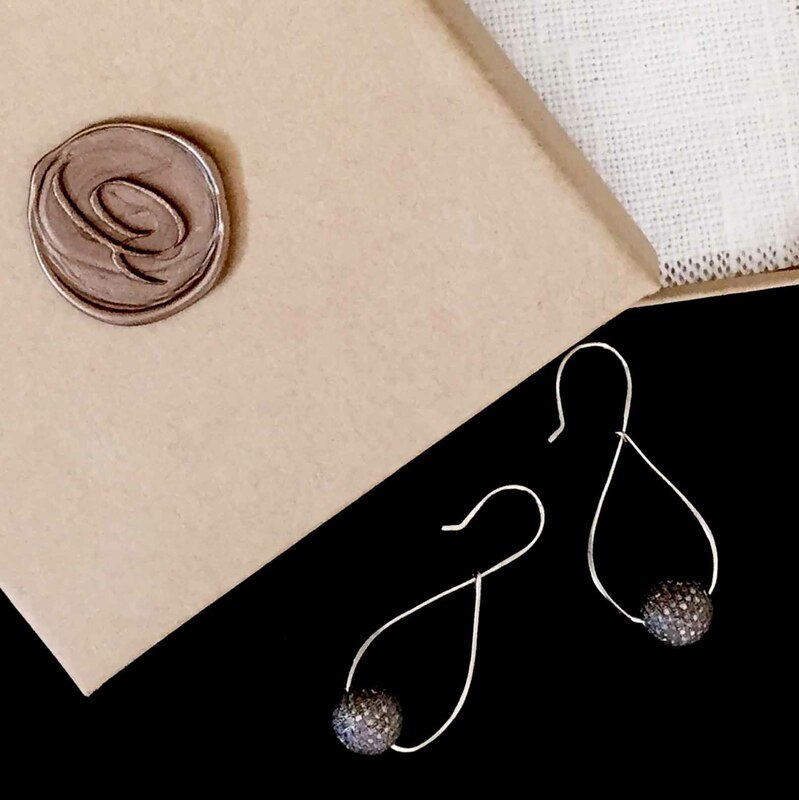 The informal kraft jewelry box with custom wax seal is lined with elegant Belgian linen, which she hand-frays and pre-washes in her studio. 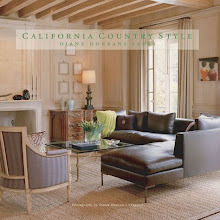 Pacific Heights: Elizabeth Charles boutique (full collection), Fillmore Street, (near California Street). 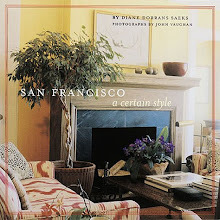 Presidio Heights: Pascaline Paris, Sacramento Street. 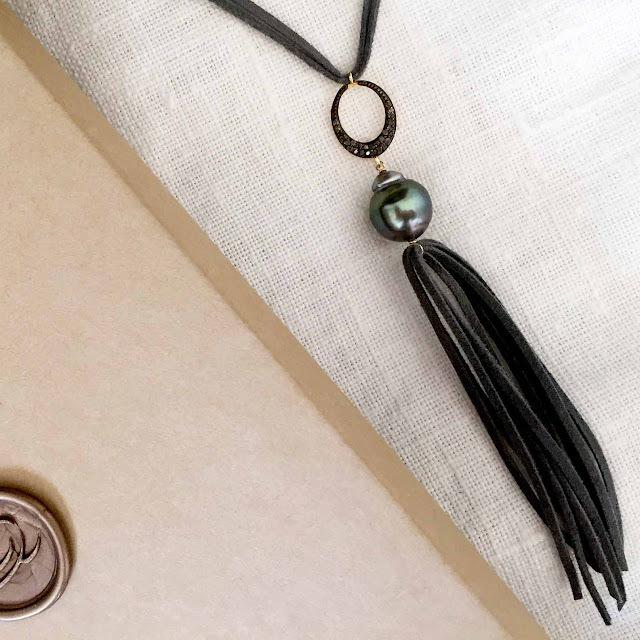 Alina’s necklaces range from $180 for a small Tahitian or baroque pearl on leather to $2,200 for a necklace with large Tahitian pearls, a diamond pendant and diamond clasp. 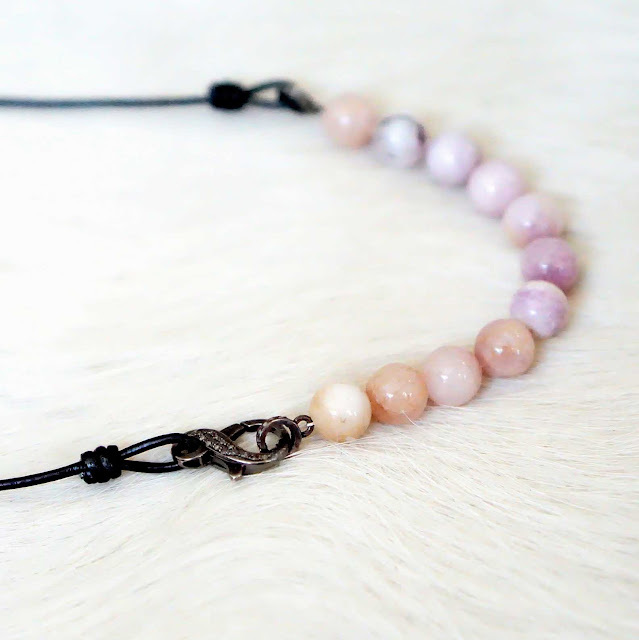 Bracelets range from $180 for a small Tahitian pearl or baroque pearl on leather to $750 for a diamond centerpiece and diamond clasp on leather. 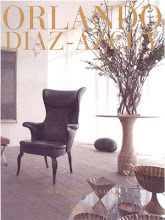 Photography by Alina de Albergaria and Bernardo de Albergaria, used here with express permission.